Noel Gallagher has said intolerable "violent and verbal intimidation" and a "lack of support" from management and bandmates forced him to quit Oasis. Noel left after relations with brother and bandmate Liam hit an all-time low. The guitarist said: "I feel you have the right to know that the level of verbal and violent intimidation towards me, my family, friends and comrades has become intolerable. "And the lack of support and understanding from my management and bandmates has left me with no other option than to get me cape and seek pastures new." He went on to say the rock group's success had been a "dream come true", adding: "I take with me glorious memories." He also apologised to fans in Paris who were disappointed when Oasis cancelled following a bust-up on Friday. "Apologies are probably not enough, I know, but I'm afraid it's all I've got," he wrote. He also said sorry to fans who hoped to see them at the V Festival in Essex last weekend. "Again, I can only apologise - although I don't know why, it was nothing to do with me. I was match fit and ready to be brilliant. Alas, other people in the group weren't up to it," he said. "Now, if you'll excuse me I have a family and a football team to indulge," he concluded. Noel earlier explained that he "simply could not go on" working with his brother and bandmate Liam for another day. The group's spokeswoman said Liam and the other remaining band members would consider whether to carry on without Noel, the chief songwriter and lead guitarist. She said: "I expect in the next couple of days a decision will be made as to how to continue or if they continue." 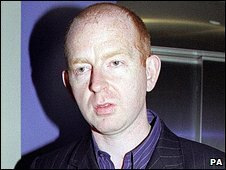 Alan McGee, who discovered Oasis and signed the band to his Creation Records label, said Noel's departure was "a sad day for music". The rift was "more serious than anything that's ever happened" between the brothers, he said. "It's obviously the worst fall-out that they've ever had, and they've had some pretty bad ones," he told BBC News. "But they love each other - they'll come back together," he predicted. "I think you'll have a reunion tour in about five years time. They love each other. When people love each other, they'll always make peace." Mr McGee said Noel no longer felt any obligation to stay in the band, which reflects a wider shift in society, he believes. "Whether you're an electrician or a rock 'n' roll star, you can only do and be who you want to be," he said. "He is the same as everybody else - he didn't want to do it any more and he stopped. People don't do anything now that they don't want to do." The former label boss recalled that he spoke to Liam two weeks ago. "He was great. We spoke about Noel and I said 'do you love him', and he agreed that he loved him." The pair will now make solo albums, he predicted, before reconciling. Mr McGee compared Noel's songwriting to that of Neil Young, Bob Dylan and John Lennon, describing him as "as good as the people that he admires". But the brothers were difficult characters, he said. "You can't control Oasis - they do what they want to do. That's the beauty and the skill of the band." The brothers have always had a fractious relationship, and a string of tours have fallen apart over the past 15 years. But until now, neither Gallagher has officially quit the group. Some Oasis fans at the Reading Festival, which is currently taking place, were not surprised to hear of the band's break-up. 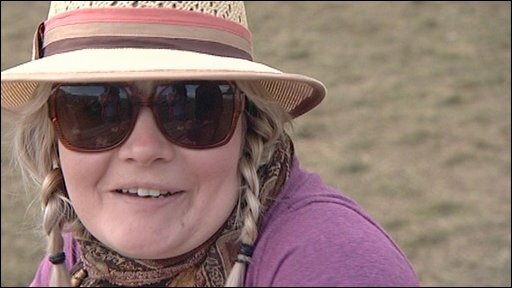 Lorraine Hoodless, 30, from Wimbledon, south London, described herself as a "disillusioned Oasis fan". "It's not come as a big shock," she said. 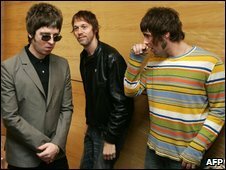 "Maybe Noel would do better on his own anyway as he's the one behind the music. Ben Coburn, 25, of Harrow, north London, said: "It's disappointing but it was always on the cards because they don't get on." Al Smith, 23, from Hampshire, said: "I was just about crying when I found out. One of the best ever gigs I've ever seen was Oasis back in 2004. There's no one else like them."